I see the pasta is a little blurry due to steam rising off of it. I am always in a hurry to eat pasta and did not wait to take the picture until it stopped steaming. Tonight we both ate dinner but each made our own. John was eating left over Chinese food and I am avoiding Chinese takeout because it triggers my asthma for some reason. So I guess from now on I will have to make Chinese food at home so I can control all the ingredients. There was a little penne left in the box from the other night so I made it simply with some sautéed mushrooms, onions and kale mix. It was fine. 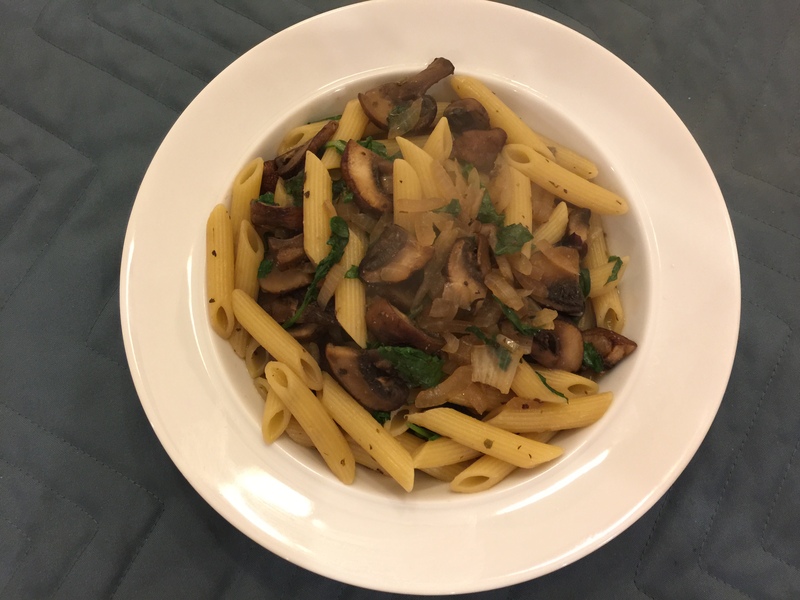 This entry was posted in Pasta, Vegan, Vegetables, Vegetarian and tagged kale, mushrooms, Onions, pasta, penne, Vegan. Bookmark the permalink.